I made this salad recently for a nutrition and food demonstration at a local chamber event. It is quick and easy! 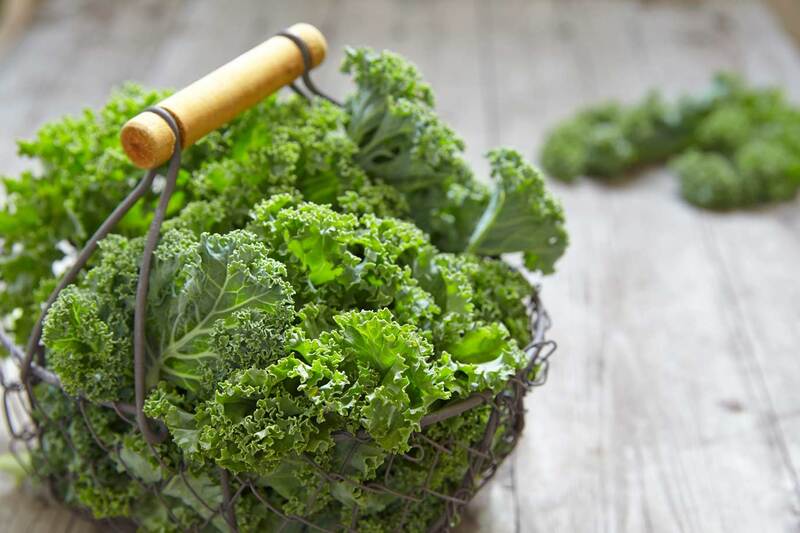 This recipe is a great way to try kale in a salad if you are not a big fan of kale. This recipe calls for massaged kale. Many of my clients find this amusing but massaging kale makes the leaves softer and less bitter. 7. Massage kale until it turns a bright green color and you can feel that the kale leaves have softened. Keep massaging the kale until it is a texture that you enjoy. Taste as you go! 8. Add the roasted vegetables to the salad. They can be hot or cooled. Additional Tip: Leftovers are great the next morning sautéed in a pan until leaves are wilted. Add a few scrambled eggs for a high protein breakfast! Thank you for this recipe! It was easy and healthy…and the best thing about it was my kids loved it! 🙂 Tip: I added a sliced avocado on top prior to serving and it was very yummy.